Personalization is changing the face of marketing and is helping to advance customer relationships. How will you take advantage? Customers are constantly bombarded with marketing messages in today's marketplace. With so much competition, how do you get heard above the noise and ensure that your customers have such a positive experience online, that they keep coming back? With personalized marketing or one-to-one marketing. We no longer live in a "one size fits all" world. Customers are looking for the solution to their specific problem... and they want it immediately. They don't want to sift through generic messages to find their cure. Personalized marketing promises to be the answer. No more cookie-cutter marketing to a wide, non-specific audience. Personalization looks at an individual's shopping and buying behavior and then tailors the offer to them. Target Specific Customers and Create Better Relationships: When you talk to everyone, you talk to no one. One-to-one marketing allows you to speak to individual customers in a way that engages them and creates better relationships and conversions. Create Marketing that People Enjoy: No one likes the endless drone of marketers hocking things they don't need. However, when a person consistently sees marketing that applies to them and offers solutions to their problems, they appreciate it and take notice. Increase Brand Loyalty: If a customer provides personal information, they expect that information to be used to tailor offers to them. When a company does this successfully, they will earn the customer's loyalty. This will increase your lifetime customer value. Improve the Customer Experience: Customers want easy solutions delivered quickly. This means you must deliver a frictionless experience. When a company can pinpoint exactly what their customers need and offer it to them instantly, the consumer will be happier and more likely to purchase. Increased Engagement: When your content matters to your potential customer, they will be more likely to provide information to you. With that information, you can create content that matters even more. A Shorter Sales Cycle: The faster you can provide a solution, the faster your potential customer is likely to purchase. Better ROI from your Advertising Budget: You spend less on advertising when your advertising is more effective. When potential customers see what they want, they'll be more likely to purchase. How you do segment your audience for proper personalization? First, you'll need to figure out what factors play into your customer's decisions to purchase. If you don't understand your customer, or look to personalize for groups of buyers that don't actually exist, you'll be offering very targeted messaging... to no one. Do you have the resources necessary? Personalization takes time and a dedicated team of marketers to ensure that it's carried out properly. Do you have the right technology? In order to personalize, you'll need to be able to collect data and automate messaging. If you are using an outdated system, your efforts will fall flat. Can you scale your personalization? The more products you have, the more difficult it will be to target your offerings. 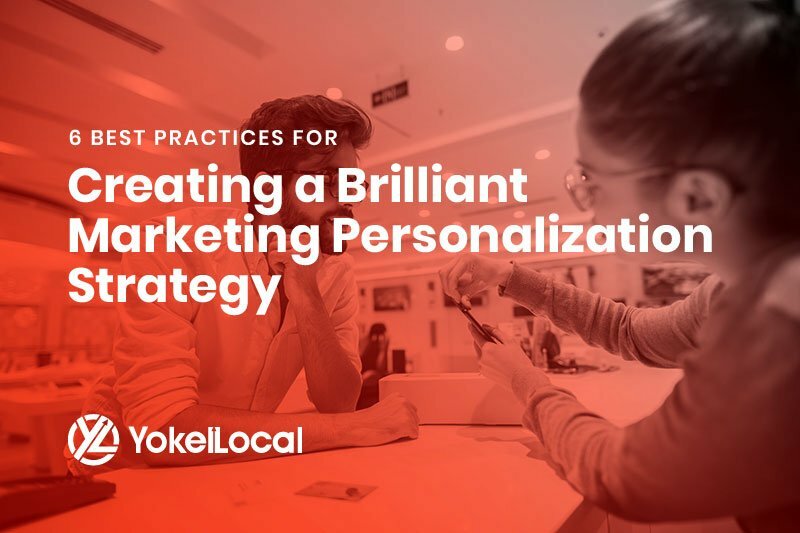 When you think about personalization as a way to get to know your customer better rather than to directly improve sales, your efforts will be more successful. Identify who your customer is and what they want. Start with 8-10 segments based on shopping and buying behaviors. Understand your customers buying journey by taking information from a variety of sources. What are the steps they take from initial brand interaction, all the way to purchase and use, and then to future purchases. Once you have completed steps 1 and 2, you can integrate this information by combining segments to create microsegments that will be the basis of your personalization. Choose at most 8-10 people on your marketing team that will come together to create the marketing messages that you will use in your personalization. These team members must work together, full-time, in order to create the business results you're looking for. Empower these employees to think and act quickly to keep up with changes and figure out what really works. Create trigger messages that will target your microsegments instead of sending out generalized offers or emails. Learn from your success and failure, constantly incorporate the new information you receive, and make the necessary changes to improve your processes and your messaging. In order for a CMO and their organization to deliver personalized experiences, they need to understand not only the theory, but the technology behind one-to-one marketing. The technology already exists to fully understand your customers (both potential and existing), and to market to them specifically. One of the words you may hear thrown around is a MarTech stack. If you've ever watched Transformers, the different machines come together to create one large machine that can get the job done. This is similar to a MarTech (or marketing technology) stack where several different technologies from several different companies work together to serve a customer. This allows companies to plug the holes in their sales funnels and move customers along the buying journey. It brings order to chaos and ultimately saves the company millions. If you're looking for inspiration to launch your own personalized digital marketing campaign, look no further. These companies are crushing it. Coca-Cola: Launched in 2012, the company's "Share a Coke" campaign created labels with people's name instead of the brand. Customers were excited to find their personalized bottles and share them with friends. Starbucks: If you haven't downloaded the app, you're among the minority. Regular Starbucks goers have the opportunity to track their rewards, customize and order drinks all on their phone, and pick up their treat at the closest store. The more information Starbucks learns about your ordering habits, the more targeted messaging you receive. Amazon: Eerie though it may be, Amazon's algorithms are spot on. They not only tailor their messaging to the individual, but to different aspects of their personality. This allows them to provide solutions to their customer's problems, and to create upsell opportunities. 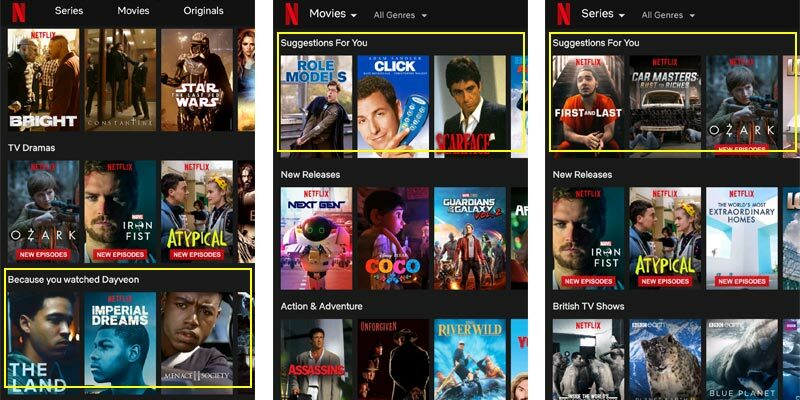 Netflix: Have you ever paid attention to the "You might also like" section Netflix creates off your past viewing behaviors? Not only are they tailoring their suggestions to your likes, they are also tailoring the artwork you see with each title. They take personalization to the next step, directing the viewer to the right content for him or her. The results are in and personalization in marketing is here to stay because it works. According to recent Epsilon research, 80% of consumers are more likely to do business with a company if it offers a personalized experience. And, businesses that use a personalized web experience are seeing an increase in sales around 19%. Customers not only expect personalization in this day in age, they actually appreciate it. Karl Wirth, CEO and Co-Founder at Evergage believes that marketers will become the champion for great customer experiences by providing relevant experiences to each individual. David Raab, Founder of CDP Institute predicts that personalized messages will become even more specific and targeted as the technology used for gathering data becomes more advanced. Josh Maumrind, SVP of Partnerships & Corp Development at Evergage says that with access to more data, email marketing will become more personalized and will get consumer's attention and keep them more engaged. With constantly improving technology, and a changing online landscape, businesses that make the jump to personalizing their marketing efforts will see increased customer engagement and recognize more return for their marketing dollars. Finding the right technology and the right team to implement these strategies may ultimately decide the future of your company.